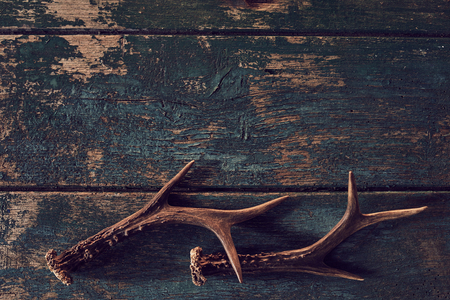 What Can You Learn From a Buck’s Shed Antlers? Towards the end of every winter, it’s not uncommon for people to come across shed antlers in areas where bucks congregate. Some people even like to venture outside to go “shed hunting” in search of these fallen antlers. In fact, you can learn some surprising things about a buck by carefully examining its sheds. Where bucks are spending time in the winter. One of the first things you can learn from a buck’s shed antlers is where that buck has been spending its time. More often than not, the antlers will be somewhere in the core of the buck’s usual territory. Based on where you find the sheds, you may be able to return next hunting season to see if the buck has returned to the area. Which food sources are attracting deer in a particular area. When you find a set of sheds, you should study the area immediately surrounding the antlers to see if you can figure out what attracted the buck to that spot. What food sources are in the area that may have brought the buck there? If you spot a perennial berry bush, for example, there’s a good chance the buck will be back for more food in the future. How healthy specific bucks are. You can also learn about a buck’s health by taking a good look at its antlers. The base of a healthy buck’s sheds will typically be rounded off, while an unhealthy buck’s sheds may appear irregular and oblong. You can also learn about the weight of a buck by looking at its antlers. Bucks with a healthy weight will typically drop sheds that are very dense and mineralized, while bucks with an unhealthy weight will have antlers that are light and porous. Find an impressive set of sheds in your area? Share your experiences with us in the comments!